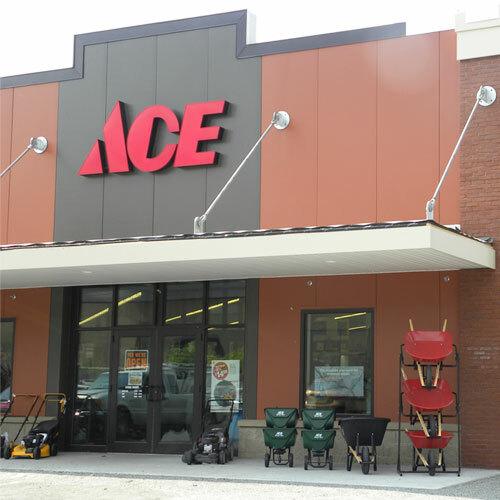 Serving you at the Woodbine Ace Hardware since 2000, our helpful associates are proud to be your local hardware store. As part of a cooperative, every Ace Hardware store is independently owned. We offer many unique products to make your life easier and more fun! We are all committed to being "the Helpful Place" by offering our customers knowledgeable advice, helpful service and quality products. As the helpful hardware folks in your community, we promise that, "helping you is the most important thing we have to do today." We offer a full-service Postal Unit for all of your shipping and postage needs! We offer discounts and donations to Eagle Scouts whose projects require materials that we stock. From Little League to soccer to volleyball, we participate with and donate to youth sports teams. We open our doors to the vocational rehabilitation services for job training and job placement (when positions are available). Providing opportunities for people with significant disabilities to work with us, benefits us all. We offer double points every day for Ace Rewards members who have or are serving in the military. And Wednesdays, military personnel can receive an extra 10% off their purchase (discountable items only). Just show the cashier your military ID before the end of your purchase.